Much progress has been achieved in recent years in molecular biology and genetics. The sheer volume of data in the form of biological sequences has been enormous and efficient methods for dealing with these huge amounts of data are needed. In addition, the data alone does not provide information on the workings of biological systems; hence much research effort has focused on designing mathematical and computational models to address problems from molecular biology. Often, the terms bioinformatics and computational biology are used to refer to the research fields concerning themselves with designing solutions to molecular problems in biology. However, there is a slight distinction between bioinformatics and computational biology: the former is concerned with managing the enormous amounts of biological data and extracting information from it, while the latter is more concerned with the design and development of new algorithms to address problems such as protein or RNA folding. However, the boundary is blurry, and there is no consistent usage of the terms. We will use the term bioinformatics to encompass both fields. To cover all areas of research in bioinformatics is beyond the scope of this section and we refer the interested reader to  for a general introduction. A large part of what bioinformatics is concerned about is evolution and function of biological systems on a molecular level. 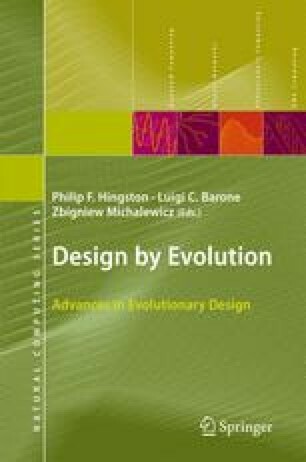 Evolutionary computation and evolutionary design are concerned with developing computational systems that “mimic” certain aspects of natural evolution (mutation, crossover, selection, fitness). Much of the inner workings of natural evolutionary systems have been copied, sometimes in modified format into evolutionary computation systems. Artificial neural networks mimic the functioning of simple brain cell clusters. Fuzzy systems are concerned with the “fuzzyness” in decision making, similar to a human expert. These three computational paradigms fall into the category of computational intelligence (CI). While biological systems have helped to develop many of the computational paradigms in CI, CI is now returning the favor to help solve some of the most challenging biological mysteries itself. In many cases these probabilistic methods can produce biologically relevant results where exact deterministic methods fail. For an extensive overview of successful applications of CI algorithms to problems in bioinformatics please refer to .